The ideological foundations of U.S. foreign policy have neo-Trotskyite foundations. Hatred of the USSR since the time of Stalin was the primary motivation for Trotskyists to the point where a significant faction considered the USSR and Stalinism rather than America and capitalism as the major obstacles to world socialism. This faction was co-opted into the Cold War and has provided the ideological impetus for U.S. foreign policy ever since. America has been the center of ‘world revolution’ since the time of Woodrow Wilson’s Fourteen Points to shape the post-war world in a single image of liberal-democracy. The policy has been one of internationalism, and the Bush description of it as a ‘new world order’ in launching the war on Iraq is the latest name. While conservatives bothered much about the USSR and Red China, the heart of ‘world revolution’ lay in Washington. Because the policies of the USA and the USSR often coincided on the world stage, in particular promoting decolonization in order to fill the void with their own versions of neo-colonialism, such policies have often been mistaken for ‘Soviet communism.’ While the ‘Soviet threat’ lies in ashes, U.S. hegemony proceeds apace, destroying reticent nations with bombs where debt and foreign aid does not work. The ideological origins of American globalist foreign policy received impetus and ideological direction from sources arising from the Trotsky-Stalin split. The Moscow Trials continue to reverberate as a major historical event throughout the world. Whatever might be said about the judicial processes of the trials, the charge at the time that Trotskyists were agents of foreign capital became reality within a few years of the trial, as Trotskyist hatred of the USSR became all-consuming. This essay examines the manner by which Trotskyism metamorphosed into a primary ingredient of US foreign policy doctrine. The origins of this US “global democratic revolution” are to be found in an unlikely and far-away source: the Trotsky-Stalin split and the Moscow Trials of 1936-1938. Such was the hatred of the Trotskyists and certain allied socialists towards the USSR from Stalin onward, that this “Opposition”, came to regard the USSR as the primary bulwark against world socialism and saw in the USA the only means of resisting Soviet world power, to the extent that these Leftists were eventually found supporting America in Korea and Vietnam, and ultimately present American foreign policy throughout the world, including the war against Iraq. The sub-commission went the Mexico to question Trotsky at the villa he was given by Diego Rivera. Those on the sub-commission included socialists and Trotskyists of various types, who exercised a deferent attitude towards Trotsky, which caused the only independently minded commissioner, the author and journalist Carleton Beals, to quit in disgust. A look at some of those involved with the Mexico hearings and their subsequent political orientations is instructive. John Chamberlain, a “left-leaning liberal” journalist, by his own description,was in 1946 among the founding editors of the libertarian journal The Freeman. Another founding editor of The Freeman was Suzanne La Follette, the Dewey Commission’s secretary whom Beals had described as having a ‘worshipful’ attitude towards Trotsky in Mexico. Trotsky’s lawyer at the Mexico hearings, Albert Goldman, a Trotskyist who had joined the American Communist Party in 1920, was expelled for Trotskyism, and was one of a faction who broke with the official line that World War II would weaken Trotskyism, joined the Workers Party, and ended up as one of those who came to see the USA as the primary bulwark against the main enemy of socialism, the USSR. The sub-commission’s reporter was Albert M Glotzer, also a Trotskyist who had been expelled from the Communist Party USA in 1928 and with Max Shachtman founded the Communist League and subsequent factions, including the Workers Party, and the Social Democrats USA, of which Sidney Hook was an honorary president. The line pursued by leading Trotskyist Max Shachtman is of importance in considering the development of Trotskyism as a significant influence on US foreign policy. Shachtman was one of Trotsky’s primary representatives in the USA. Expelled from the Communist Party USA in 1928 Shachtman co-founded the Communist League and the Socialist Workers Party, but split to form the Workers Party of the United States in 1940 with James P Cannon and James Burnham et al, which became the Independent Socialist League and merged with the Socialist Party in 1958; which in turn factionalised into the Democratic Socialists and the Social Democrats USA. Shachtman’s opposition to the USSR diverged from the official Trotskyist line and became known as the “Third Camp.” Trotsky and the Fourth International advocated during World War II a so-called “defence of the Soviet Union.” Trotsky and the Fourth International held that in the event of an attack on the USSR by capitalist or fascist states, the Soviet Union must be defended since, although it was a “degenerated workers state” controlled by a bureaucracy rather than the proletariat, the fact of its having a nationalised economy was the crucial point. 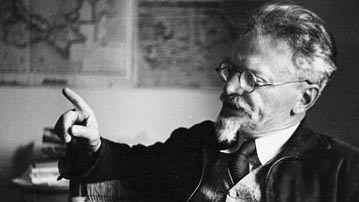 Trotsky held that the armed proletariat and the crisis generated by war would lead to the post-war defeat of Stalin by another revolution. The Fourth International established, years ago, the fact that the Stalinist regime (even though based upon nationalized property) had degenerated to the point where it was not only capable of conducting reactionary wars against the proletariat and its revolutionary vanguard, and even against colonial peoples, but did in fact conduct such wars. Now, in our opinion, on the basis of the actual course of Stalinist policy (again, even though based upon nationalized property), the Fourth International must establish the fact that the Soviet Union (i.e., the ruling bureaucracy and the armed forces serving it) has degenerated to the point where it is capable of conducting reactionary wars even against capitalist states (Poland, Estonia, Lithuania, Latvia, now Finland, and tomorrow Rumania and elsewhere). This is the point which forms the nub of our difference with you and with the Cannon faction. War is a continuation of politics, and if Stalinist policy, even in the occupied territory where property has been statified, preserves completely its reactionary character, then the war it is conducting is reactionary. In that case, the revolutionary proletariat must refuse to give the Kremlin and its army material and military aid. It must concentrate all efforts on overturning the Stalinist regime. That is not our war! Our war is against the counterrevolutionary bureaucracy at the present time! In other words, I propose, in the present war, a policy of revolutionary defeatism in the Soviet Union, as explained in the statement of the Minority on the Russian question – and in making this proposal I do not feel myself one whit less a revolutionary class patriot than I have always been. There is a significant reference in Shachtman’s statement from which the shape of post-war Trotskyist ideology and the rationale for which it went over the American camp during the Cold War, and subsequently, can be discerned: The USSR had reached such a “degenerated” state, pursuing a thoroughly reactionary course, that it could now only act in interests inimical to socialism even in its actions against capitalist states. The USSR was therefore henceforth seen as the major obstacle to world socialism, as a dialectical regression. The Stalinist parties are indeed agents of the Kremlin oligarchy, no matter what country they function in. The interests and the fate of these Stalinist parties are inseparably intertwined with the interests and fate of the Russian bureaucracy. The Stalinist parties are everywhere based upon the power of the Russian bureaucracy, they serve this power, they are dependent upon it, and they cannot live without it. In the first place, the division in the capitalist camp is, to all practical intents, at an end. In any case, there is nothing like the division that existed from 1939 onward and which gave Stalinist Russia such tremendous room for maneuvering. In spite of all the differences that still exist among them, the capitalist world under American imperialist leadership and drive is developing an increasingly solid front against Russian imperialism. The principal new problem faced by Marxian theory, and therewith Marxian practice, is the problem of Stalinism. What once appeared to many to be either an academic or “foreign” problem is now, it should at last be obvious, a decisive problem for all classes in all countries. If it is understood as a purely Russian phenomenon or as a problem “in itself,” it is of course not understood at all. While Shachtman was at loggerheads with Trotsky over the dialectical line to be pursued over the USSR, would Trotsky have continued to pursue the “defence of the USSR” vis-à-vis the Cold War scenario had a Stalnist assassin not liquidated him in 1940? It may accelerate the process of the revolutionary regeneration of the USSR. But it may also accelerate the process of its final degeneration. For this reason it is indispensable that follow painstakingly and without prejudice these modifications which war introduces into the internal life of the USSR so that we may give ourselves a timely accounting of them. Obsessed by old and outmoded formulations, you continue to consider the Stalinist state as a workers’ state. I cannot and will not follow you on this point…. It should be clear to all that Stalinism has completely destroyed the revolution. And yet you continue to say that Russia is still, under this iniquitous regime, a workers’ state. The most intolerable is the position on war to which you have committed yourselves. The third world war threatening humanity places the revolutionary movement before the most difficult and complex situations, the gravest decisions…. But faced with the events of recent years, you continue to call for the defence of the Stalinist state, and to commit the whole movement to it. Now, you even support the Stalinist armies in the war which is crucifying the Korean people. I cannot and will not follow you on this point…. I find that I must tell you that I find no other way out than to say openly that our disagreements make it impossible for me to stay any longer in your ranks. Sundry Trotskyite groups continue to adhere to Natalia’s stance. It was from such an anti-Soviet milieu among the Left that the Congress for Cultural Freedom (CCF) emerged. A CIA front to co-opt Leftist-intellectuals to the U.S. side during the Cold War on the shared basis of anti-Sovietism, the CCF came out of the American Committee for Cultural Freedom organised in 1938 with John Dewey. In 1948 Hook’s Americans for Intellectual Freedom came to the attention of the Office of Political Coordination, a newly formed branch of the CIA. From these the Congress for Cultural Freedom (CCF) was founded in 1951. A handful of liberal and socialist writers, led by philosophy professor Sidney Hook, saw their chance to steal a little of the publicity expected for the Waldorf peace conference. A fierce ex-Communist himself, Hook was then teaching at New York University and editing a socialist magazine called The New Leader. Ten years earlier he and his mentor John Dewey had founded a controversial group called the Committee for Cultural Freedom, which attacked both Communism and Nazism. He now organized a similar committee to harass the peace conference in the Waldorf-Astoria. It should be kept in mind that when the CIA, and even someone as well-informed as Frances Stonor Saunders refers to Hook et al as being “anti-communist,” this was nothing of the kind; they were anti-Stalinists, with Trotskyism being the predominant line. Hook was a co-founder of the American Workers Party and promoted its merger with Socialist Workers’ Party to form the Workers Party of the United States, although Hook did not join. Hook did however become the honorary president of the influential Social Democrats USA, another Trotskyite deviation. Hook was editing The New Leader, a Marxist publication whose executive editor from 1937-1961 was a Russian emigrant, Sol Levitas, a Menshevik who had been mayor of Vladivostok and who had worked with the Bolshevik leaders Trotsky and Bukharin. Saunders quotes Tom Braden of the CIA as stating that The New Leader was kept alive through subsidies that Braden gave to Levitas. Partisan Review was another Leftist magazine saved from financial ruin by the CIA and certain CIA-connected wealthy patrons such as the Rockefellers, after an appeal for funds from Hook. Give me a hundred million dollars and a thousand dedicated people, and I will guarantee to generate such a wave of democratic unrest among the masses–yes, even among the soldiers–of Stalin’s own empire, that all his problems for a long period of time to come will be internal. I can find the people. One of America’s leading anticommunist intellectuals, Hook supported American entry into the Korean War, the isolation of Red China, the efforts of the United States government to maintain a qualitative edge in nuclear weapons, the Johnson administration’s attempt to preserve a pro-western regime in South Vietnam, and the campaign of the Reagan administration to overthrow the communist regime in Nicaragua. Again, there is the disingenuous description of Hook as an ‘anticommunist’, obscuring the fundamentally Trotskyist origins of both neo-conservativism and post-World War II American foreign policy. During the 1960s Shachtmanism aligned with the Democratic Party while maintaining an influence in the New Left. By the 1960s they were supporting America’s policy in Vietnam, just as Natalia had supported America in Korea. In 1972 the Shachtmanists endorsed Senator Henry Jackson for the Democratic presidential nomination against Leftist George McGovern whom they regarded as an appeaser toward the USSR. Jackson was both pro-war and vehemently anti-Soviet, advocating a “hawkish” position on foreign policy towards the USSR. Like Hook, Jackson was also awarded the Medal of Freedom by Reagan in 1984. At this time Tom Kahn, a prominent Shachtmanist and an organizer of the AFL-CIO, was Jackson’s chief speechwriter. Kahn became pivotal in the development of American foreign policy during the Cold War and after. Many of Sen. Jackson’s aides were to become prominent in the “neo-conservative” movement, including Paul Wolfowitz, Elliott Abrams, Richard Perle, and Douglas Feith, all of whom had been involved to some extent with Trotskyism at an early stage, and all of whom became prominent in the Administration of George H W Bush, as well as being noted for their hawkish stance on foreign policy. This position can be readily seen as neo-Trotskyist. The line has been consistent, and inevitably led to a pro-U.S. position. Just as the Congress for Cultural Freedom was to a significant extent a Trotskyist response to the Cold War, the post-Cold War era required a new response, and again Trotskyists of the Shachmanite-Hook lines took the forefront. The National Endowment for Democracy (NED) was established in 1983 at the prompting of Tom Kahn, and endorsed by an Act of Congress introduced by Congressman George Agree. Carl Gershman, a Shachtmanite, was appointed president of NED in 1984, and remains so. Gershman was a co-founder and an Executive Director (1974-1980) of Social Democrats USA. Kahn started his political activism with the Young Socialist League, the youth wing of Shachtman’s Independent Socialist League and the Young People’s Socialist League, which he continued to support until his death in 1992. In particular, he supported Shachtman’s opposition to the USSR as the primary obstacle to world socialism, and built up an anti-Soviet network throughout the world in “opposition to the accommodationist policies of détente”. There was a particular focus on assisting Solidarity in Poland from 1980. The neo-Trotskyists had in fact created, under U.S. auspices, precisely the anti-Soviet underground network that Stalin had feared, and that had been alleged against the Trotskyist and Bukharin Opposition bloc during the Moscow trials of 1936-1938. Whatever the truth or otherwise of the Moscow trial allegations – and confessions – what was alleged by the Stalinists during the 1930s had become reality shortly after World War II, and played a significant role in the destruction of the Soviet bloc. Racehlle Horowitz’s eulogy to Kahn ends with her confidence that had he been alive, he would have been a vigorous supporter of the war in Iraq. NED is funded by the U.S. Congress and supports “activists and scholars” with 1000 grants in over 90 countries. NED describes its program of “democratic initiatives” (sic) as operating in Poland (through the trade union Solidarity), Chile, Nicaragua, Eastern Europe (to aid in the democratic transition following the demise of the Soviet bloc), South Africa, Burma, China, Tibet, North Korea and the Balkans. “Serbia’s electoral breakthrough in the fall of 2000” was achieved by supporting “a number of civic groups.” “More recently, following 9/11 and the NED Board’s adoption of its third strategic document, special funding has been provided for countries with substantial Muslim populations in the Middle East, Africa, and Asia.” The programme and strategies are thus very similar to those funded by George Soros. While Putin’s Russia remains a major concern of the present cadre of neo-Trotskyists, Islam has become a significant new world bogeyman for the neo-Trotskyists to continue what amounts to the present-day version of the permanent revolution. The neo-Trotskyists have conjoined the words Fascist and Islam to coin a substitute for Stalinism as the perpetual villain: Islamofascism. To my last breath I will defend the Trotsky who alone, and pursued from country to country, and finally laid low in his own blood, said no to Soviet coddling of Hitlerism, to the Moscow purges, to the betrayal of the Spanish Republic.… to my last breath, and without apology. Let the neo-fascists, and Stalinists in their second childhood make of it what they will. And the fact is that many of the original generation of neoconservatives had a background of association with Trotskyism in its Shachtmanite iteration — that is, they belonged to or sympathized with a trend in radical leftism that followed the principle of opposition to the Soviet betrayal of the revolution to its logical end. The Shachtmanites, in the 1960s, joined the AFL-CIO in its best Cold War period, and many became staunch Reaganites. We have entered an age of constant conflict…. We are entering a new American century, in which we will become still wealthier, culturally more lethal, and increasingly powerful. We will excite hatreds without precedent…. There will be no peace. At any given moment for the rest of our lifetimes, there will be multiple conflicts in mutating forms around the globe. Violent conflict will dominate the headlines, but cultural and economic struggles will be steadier and ultimately more decisive. The de facto role of the U.S. armed forces will be to keep the world safe for our economy and open to our cultural assault. To those ends, we will do a fair amount of killing. …[W]e are the one truly revolutionary country in the world, as we have been for more than 200 years. Creative destruction is our middle name. We do it automatically, and that is precisely why the tyrants hate us, and are driven to attack us. Freedom is our most lethal weapon, and the oppressed peoples of the fanatic regimes are our greatest assets. They need to hear and see that we are with them, and that the Western mission is to set them free, under leaders who will respect them and preserve their freedom. Trotskyism provided the ideological basis for U.S. foreign policy, orientating U.S. foreign policy as a development from Wilsonian global liberal-democracy to what has become America’s “world revolutionary mission.” Trotskyist motivation came very shortly to be dominated by a hatred of the USSR, seeing Russia as the major obstacle to world socialism, and the USA as the only force capable of halting the USSR. From the neo-Trotskyist perspective, dialectically, capitalism became preferable to Stalinism. Capitalism represented a stage towards socialism; Stalinism was an aberration historically. Trotskyists readily joined with the CIA during the Cold War, and in the post-Cold War world have continued to have an influence, in particular ideologically, as it is now expressed by non-Trotskyists from Ledeen to Reagan and Bush. The ideology has not been repudiated by Obama. “The permanent revolution” has been substituted for “constant conflict,” and “creative destruction;” Stalinism has been substituted for Islamofascism; Russia has been replaced by the USA as the “one truly revolutionary country in the world;” and the “world proletarian revolution” has metamorphosed into the “global democratic revolution.” Have the allegedly “paranoid” concerns of Stalin been vindicated? Fred Barbash, ‘Bush: Iraq Part of ‘Global Democratic Revolution: Liberation of Middle East Portrayed as Continuation of Reagan’s Policies’, Washington Post, 6 November 6, 2003. George Novack, Introduction (1968), The Case of Leon Trotsky, International Socialist Review, Vol.29 No.4, July-August 1968, pp.21-26. Carleton Beals, ‘The Fewer Outsiders the Better: The Master Comes to Judgement,’ Saturday Evening Post, 12 June 1937. http://www.revleft.com/vb/fewer-outsiders-better-t124508/index.html?s=37316b1a8beb93cba88ad37731a4779c&amp (Accessed 25 April 2010). John, Chamberlain, A Life with the Printed Word, (Regnery, 1982), p. 65. ‘British Trotskyism in 1931,’ Encyclopaedia of Trotskyism Online: Revolutionary History, http://www.marxists.org/history/etol/revhist/backiss/vol1/no1/glotzer.html (Accessed 7 March 2010). One of the two most prominent according to Trotskyist historian Ernest Haberkern, Introduction to Max Shachtman, http://www.marxists.org/archive/shachtma/intro.htm (accessed 18 March 20100. Max Shachtman, ‘The Crisis in the American Party: An Open Letter in Reply to Comrade Leon Trotsky’, New International, Vol.6 No.2, March 1940), 43-51. Max Shachtman, ‘The Nature of the Stalinist Parties: Their Class Roots, Political Role and Basic Aim’, The New International: A Monthly Organ of Revolutionary Marxism, Vol.13 No.3, March 1947, 69-74. Max Shachtman, ‘Stalinism on the Decline: Tito versus Stalin The Beginning of the End of the Russian Empire’, New International, Vol.XIV No.6, August 1948, 172-178. Max Shachtman, ‘Reflections on a Decade Past: On the Tenth Anniversary of Our Movement,’ The New International: A Monthly Organ of Revolutionary Marxism, Vol.16 No.3, May-June 1950, pp.131-144. Leon Trotsky, ‘The USSR in War’ (Sept 1939) The New International, New York, Vol.5 No.11, November 1939, pp.325-332. Natalia Sedova Trotsky, Mexico City, 9 May 1951. For example, ‘Socialist Alternative in Australia. Hook also served as a ‘contract consultant’ for the CIA. Frances Stonor Saunders, The Cultural Cold War: The CIA and the World of Arts and Letters (New York: the New Press, 1999), 157. CIA website: ‘Cultural Cold War: Origins of the Congress for Cultural Freedom, 1949-50’; op.cit. (accessed 26 January 2010). The Social Democrats USA originated after a split with the Trotskyist-orientated Socialist Party in 1972. Myron Kolatch, ‘Who We Are and Where We Came From’, The New Leader, http://www.thenewleader.com/pdf/who-we-are.pdf (accessed 27 January 2010). The New Leader stopped publication as a print edition and became online in 2006. Saunders describes Partisan Review as having been founded in the 1930s by ‘a group of Trotskyites from City College, originating in the Communist Party front group, the John Reed Club’. Saunders, ibid., p. 160. When Partisan Review was on the verge of bankruptcy Sidney Hook appealed for assistance, and Henry Luce, the publisher of Time, gave a grant of $10,000, while donating Time Inc. shares to the American Committee for Cultural Freedom. (Saunders, ibid., 162). Partisan Review, whose editor William Phillips was cultural secretary of the American Committee of Cultural Freedom, continued to received CIA funding, as did The New Leader. Saunders, ibid., 163.
https://www.cia.gov/library/center-for-the-study-of-intelligence/kent-csi/docs/v38i5a10p.htm#rft1 (accessed 26 January 2010). Sidney Hook, ‘Education in Defense of a Free Society’, 1984, Jefferson Lecture in the Humanities, National Endowment for Humanities, http://www.neh.gov/whoweare/jefflect.html (accessed 19 March 2010). Edward S Shapiro, ‘Hook, Sidney’, First Principles: The Home of American Intellectual Conservatism, 3 July 2009, http://www.firstprinciplesjournal.com/articles.aspx?article=699&loc=r (accessed 19 March 2010). Tom Kahn, ‘Max Shachtman: His Ideas and His Movement’, Editor’s Note on Kahn, Dissent Magazine, p. 252 (accessed 19 March 2010). http://www.dissentmagazine.org/democratiya/article_pdfs/d11Khan.pdf (accessed 19 March 20100. Tom Kahn, Democratiya 11, 2007, reprinted in Dissent Magazine, ibid., 258. The Social Democrats USA had originated in 1972 after a split with the Trotskyist-orientated Socialist Party. Rachelle Horowitz, “Tom Kahn and the Fight for Democracy: A Political Portrait and Personal Recollection”, Dissent Magazine, pp. 238-239. http://www.dissentmagazine.org/democratiya/article_pdfs/d11Horowitz.pdf (Accessed 8 March 2010). David Lowe, ‘Idea to Reality: NED at 25: Reauthorization’, NED, http://www.ned.org/about/history (accessed 7 March 2010). Stephen Schwartz, ‘What is ‘Islamo-fascism’?’ TCS Today, 16 August 2006, http://www.tcsdaily.com/article.aspx?id=081606C. (Accessed 7 March 2010). Stephen Schwartz, ‘Trotskycons?,’ National Review, 11 June 2003: http://faceoff.nationalreview.com/comment/comment-schwartz061103.asp (accessed 7 March 2010). Peters was assigned to the Office of the Deputy Chief of Staff for Intelligence, where he was responsible for future warfare. Prior to becoming a Foreign Area Officer for Eurasia, he served exclusively at the tactical level. He is a graduate of the US Army Command and General Staff College. Over the past several years, his professional and personal research took have Peters to Russia, Ukraine, Georgia, Ossetia, Abkhazia, Armenia, Azerbaijan, Uzbekistan, Kazakhstan, Latvia, Lithuania, Estonia, Croatia, Serbia, Bulgaria, Romania, Poland, Hungary, the Czech Republic, Pakistan, Turkey, Burma, Laos, Thailand, and Mexico, as well as the countries of the Andean Ridge. He has published widely on military and international concerns. Peters retired in 1998 with the rank of Lieutenant Colonel, and continues to write widely as a novelist, essayist and is a frequent media commentator. ‘Ralph Peters,’ Wikipedia, en.wikipedia.org/wiki/Ralph_Peters (Accessed 7 March 2010). Ralph Peters, “Constant Conflict”, Parameters, Summer 1997, pp. 4-14. http://www.usamhi.army.mil/USAWC/Parameters/97summer/peters.htm (Accessed 7 March 2010). Ledeen is a leading member of the US foreign policy Establishment. He has been a consultant to the US National Security Council, State Department and Defense Department, and served as special adviser to US Secretary of State Alexander Haig in 1981, after having worked as an adviser for Italian Military Intelligence. He is a contributing editor to National Review, and a media commentator. Having been a scholar with the American Enterprise Institute, Ledeen currently works with the Foundation for Defense of Democracies, which aims for “regime change” in states not in accord with globalist hegemony. “Michael Ledeen”, Wikipedia, en.wikipedia.org/wiki/Michael_Ledeen (Accessed 7 March 2010). Michael Ledeen, ‘Creative Destruction: How to wage a revolutionary war,’ National Review online, 20 September 2001. http://old.nationalreview.com/contributors/ledeen092001.shtml (Accessed 7 March 2010).